This interview definitely resonates when you retrospectively think of the "icons" in today's music. I'm not confident that anyone in popular music right now is as in-tune with themselves, their actions, the times, and their surroundings as much as Tupac Shakur was. Does that deem today's artists cowardice? Is it because they're Pop? 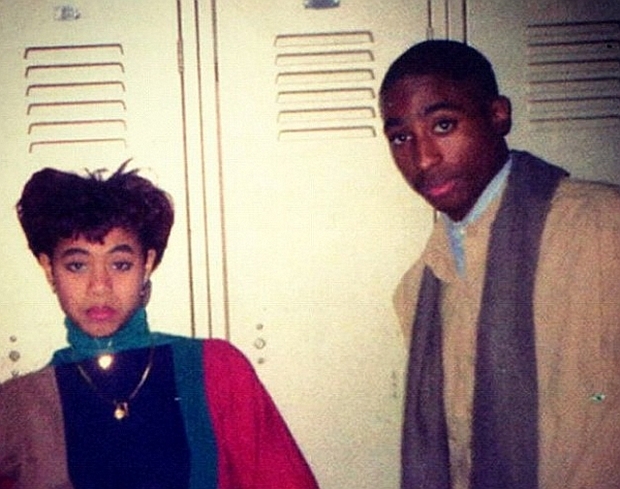 Tupac's music matriculated in and out of pop culture. Is fear a safe argument? Or that today's artists are simply uninformed? Music has always been known as an ancient medium used to support, strengthen, and transform peoples energies, especially in times of despair, such as during a recession, depression, wave of unemployment, endless war, and of course all of the other things that a sociologist can assure will manifest as a result of a society being struck by the aforementioned conditions. In high school I read about scientists being able to test the effects on plant growth in an environment where music is played and an environment where there is no music. After numerous tests, it was concluded that the plants exposed to music grew quicker, or proved to carry stronger growth patterns than the plants unexposed to music... of course I'm sure the plants were watered at the same rate, shared an equivalent light intensity. Applying this to human beings, classical music is said to enhance mathematical apprehension, but there is an increased complexity when considering what's actually being verbalized, because we're then dealing with more than just sound. The sound is more organized and language creates a reality where two sounds can sound the same but mean two entirely different things. Songs are mantras. Some may prove uplifting, others destructive. It's all perception. It all can be dependent on who's listening, or what type of plant is growing. That's the benefit of being a superior species, I guess. Not tryin' to drop science here, I'm just saying. What are we listening too? As critical as American media and the black bourgeoisie can be about Tupac, it's no question that the guy was not only incredibly intelligent but threateningly prophetic. I was 12 when he died and swore his death was a result of "gangster rap violence"... it rattled my thinking when an elder head whispered to me, "They killed him because he was the next Bob Marley... he was going to be the next Malcolm." Almost 10 years later and in college, I began to see what that really meant. "How long will they kill our prophets while we stand aside and look?" It's just a question, but we all know some of the most critical lives in the history of civilization were taken simply due to exercising their innate, God-given, human-survival impulse to question.